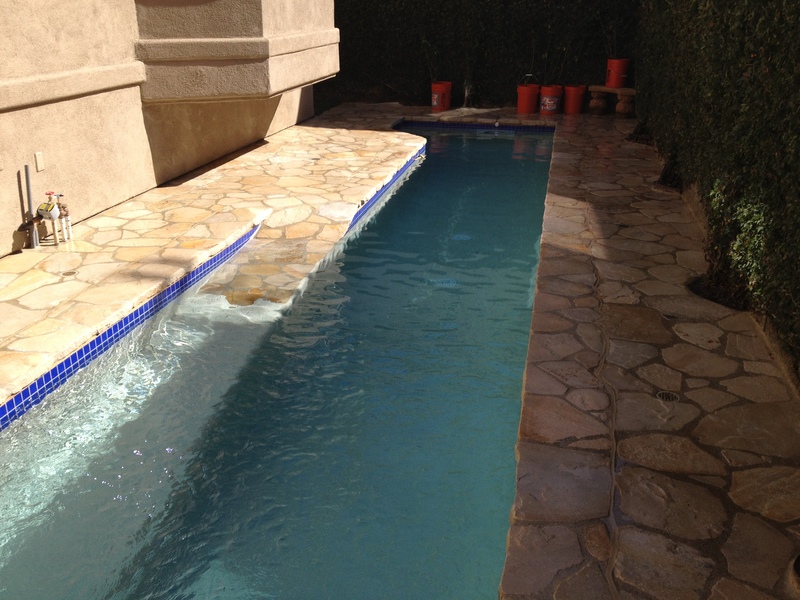 Small Pool In a Small Yard… Accomplished! 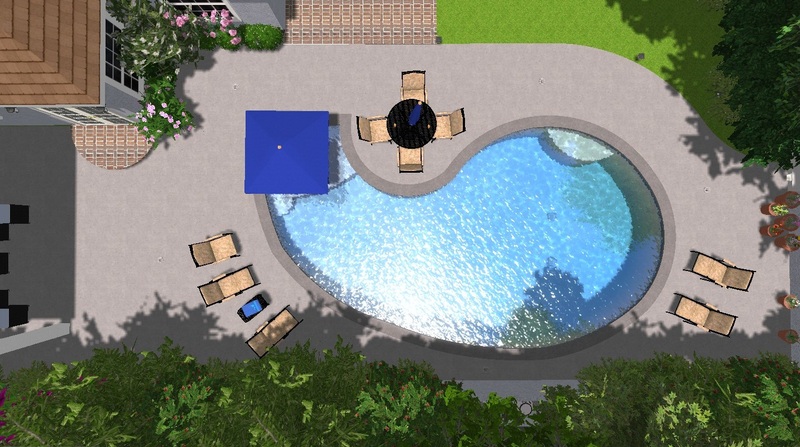 I earlier posted about a unique pool and yard that I was hired to design. 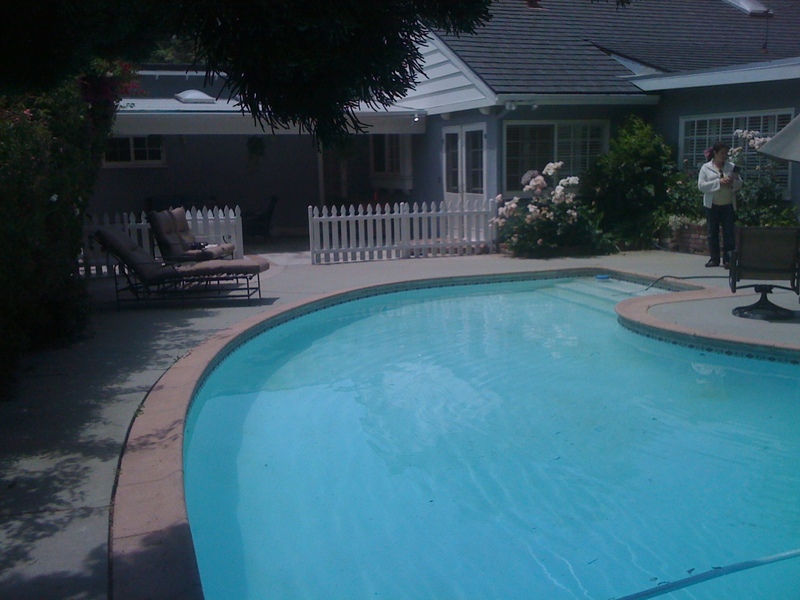 This pool was essentially created at a residence as a therapy pool for their dogs. 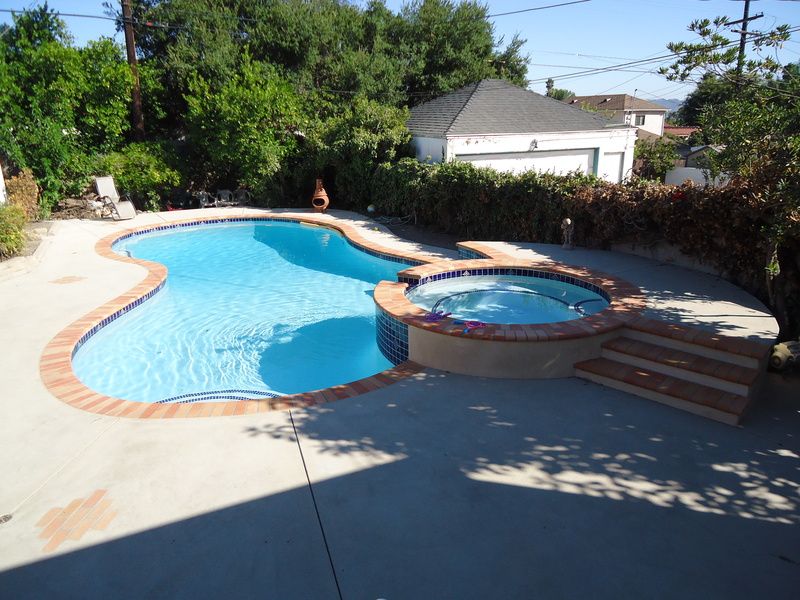 The homeowners will also use the pool as a lap pool. 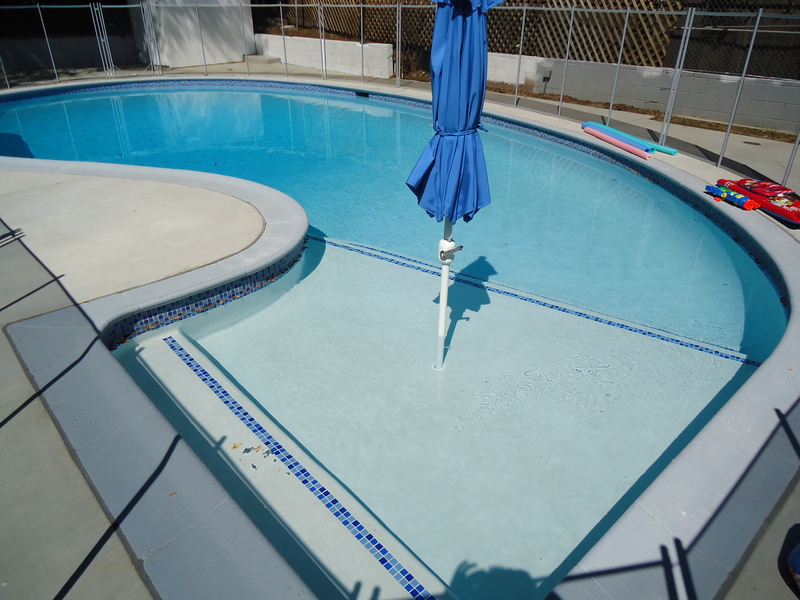 It is 3′ 8″ deep, has a ramp entrance and a Badu SwimJet System. 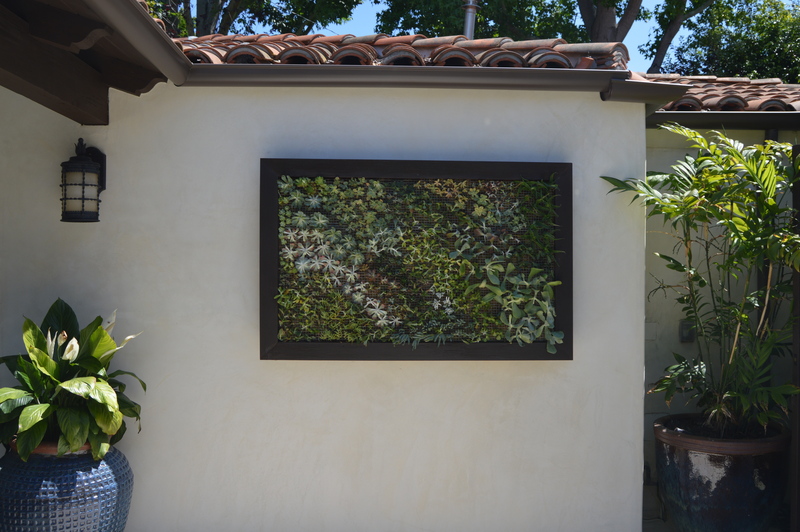 The most unique aspect to this project is it is in a very narrow backyard and we made it work. Water valves will be covered soon and buckets are rose bushes that will be planted elsewhere. Finishes for pool are Stonescapes Mini Pebble for plaster, Venus Glass Tile, brass drain covers and Utah Flagstone for decking. 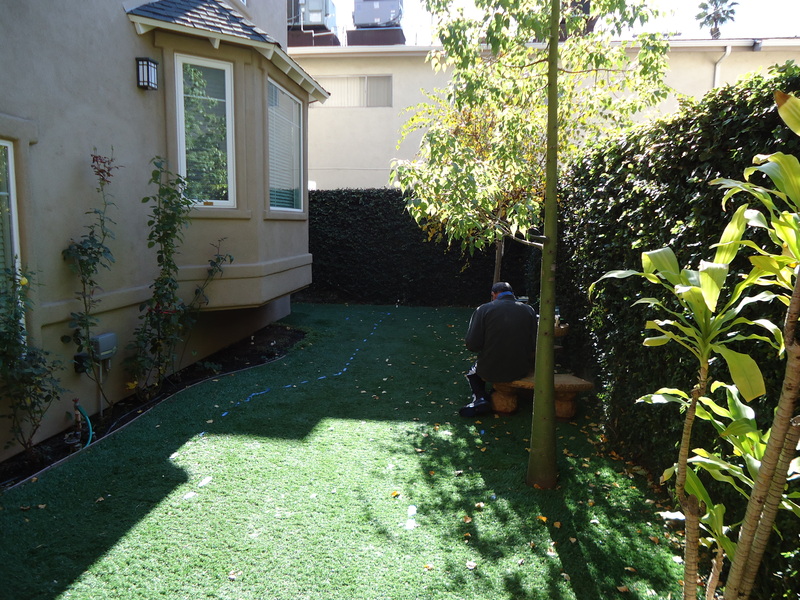 The end result is a yard that didn’t get much use will now be used everyday. 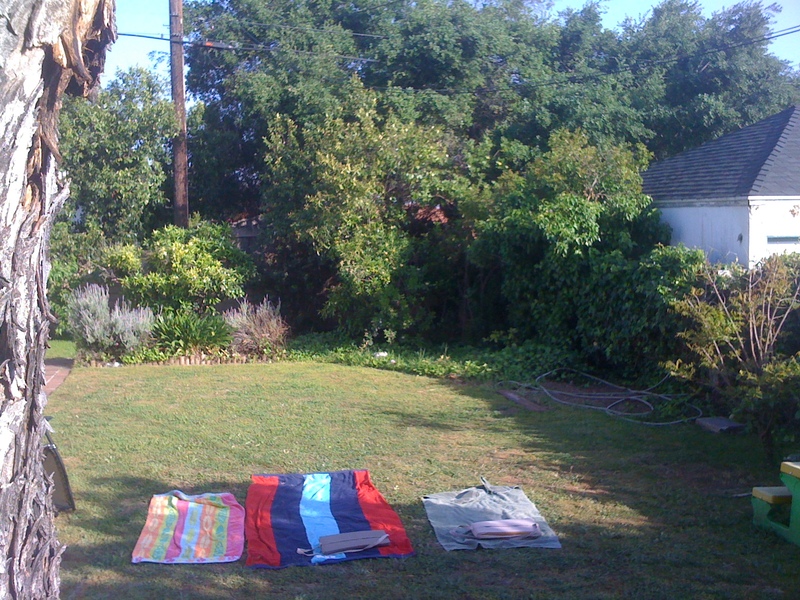 The pool being in place also makes the yard look longer and it’s much more inviting. I visited the site today and I felt like jumping in the pool and swimming against the swim jets. The high end finishes makes the pool extremely inviting. 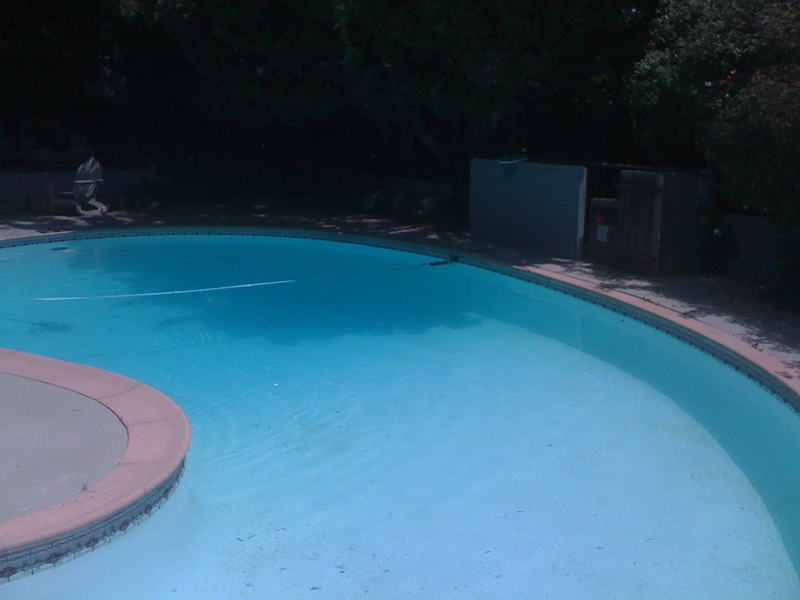 The pool contractor is based in Southern California and you can reach their website by clicking here: Certified Swimming Pools of California. 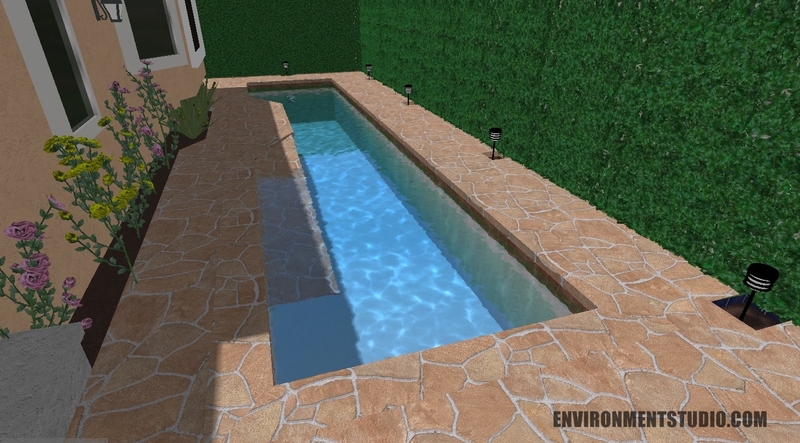 Recently, I designed a swimming pool upgrade to modernize it and make it aesthetic. The pictures I have aren’t the greatest, but you can get the idea. The yard is still in progress and will be completed in the fall. When the yard is fully completed, I will take professional photos and upload those. After the initial consultation, I drew up renderings for the remodel concept. The plan was to update the design, add a lounge area, etc. 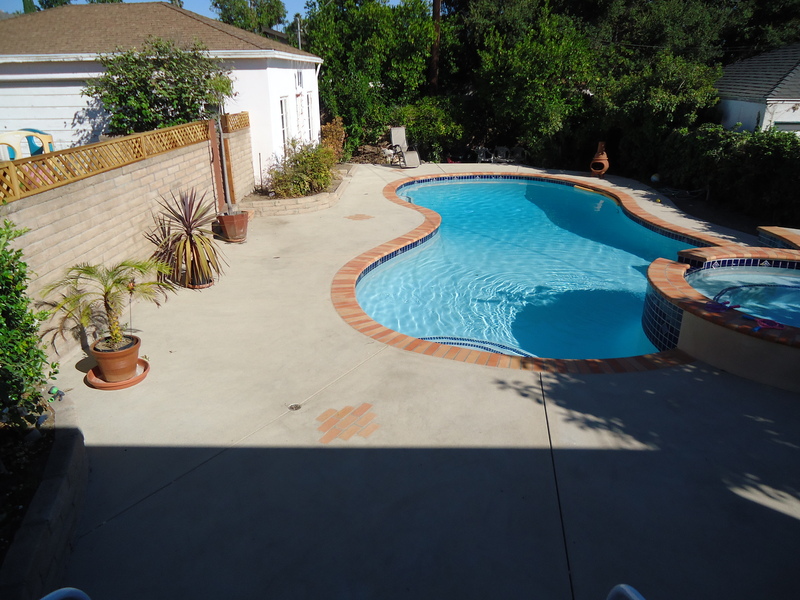 Once all the details were ironed out, the pool was redesigned and completed. Note: The pool was scheduled to be cleaned that day so there are some leaves and whatnot in the pool. 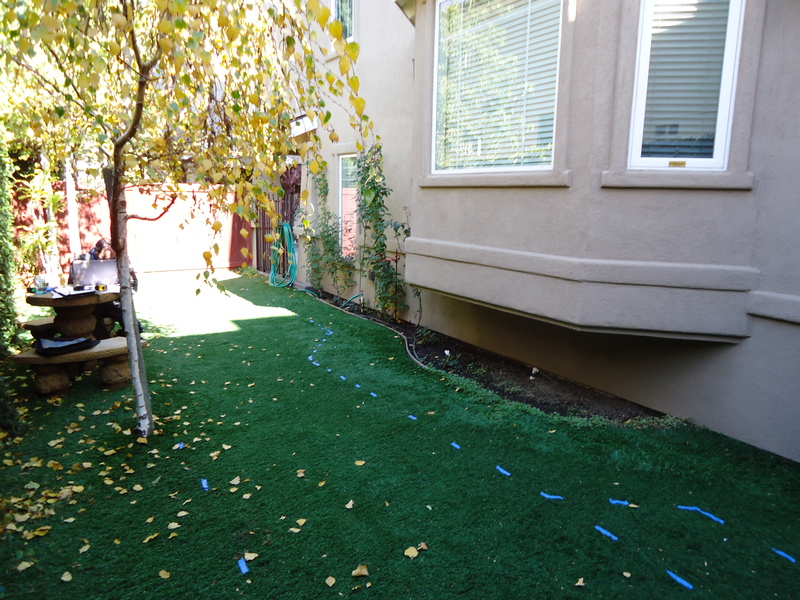 These are not the final shots of the backyard remodel, once that is completed I will post pictures. 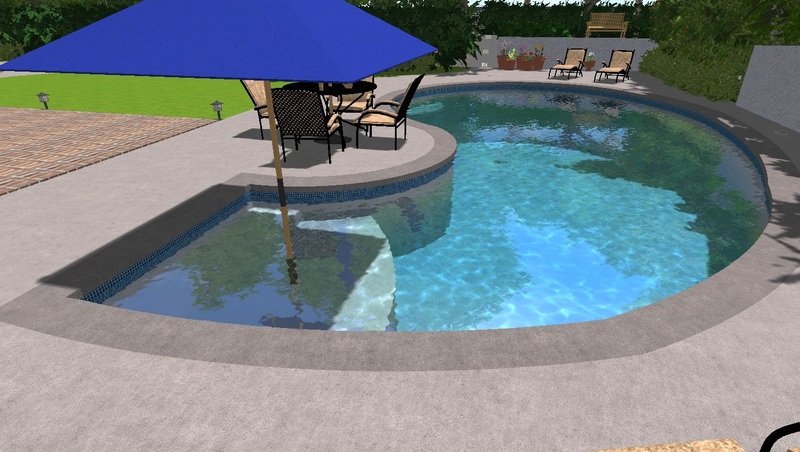 Designer Tip: Removing and replacing the pool coping wasn’t panning out budget wise, so a very workable solution was adopted. Still keeping with the general concept of the design, the original coping remained in place and we stained it to blend in with the tile and the concrete. It turned out perfectly! 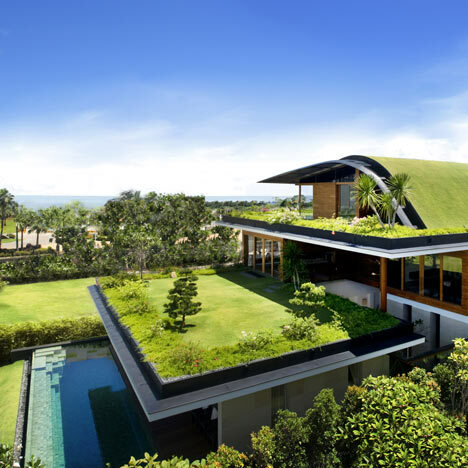 Deezen recently did an article on the top 10 designed Swimming Pools around the world. These pools are beyond amazing. 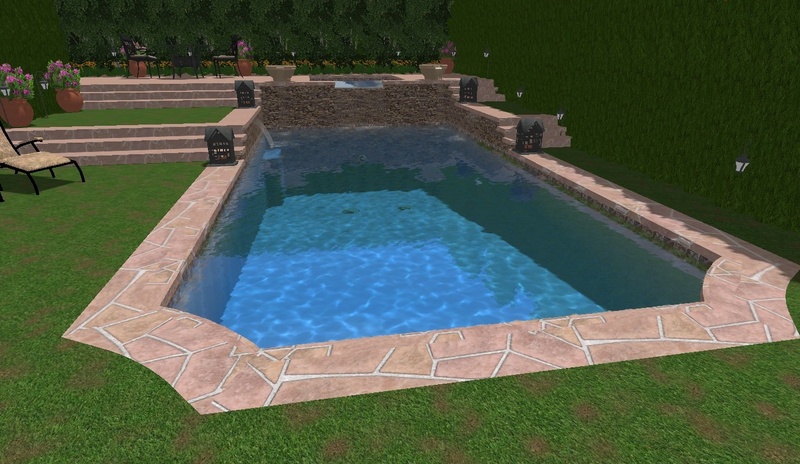 I clicked on the tag “Swimming Pools” on Deezen.com and it pulled up some of the most amazing pools I have ever seen in perfectly designed environments. It just reminded me of the concepts I come up with, but most people I design for want something more traditional. 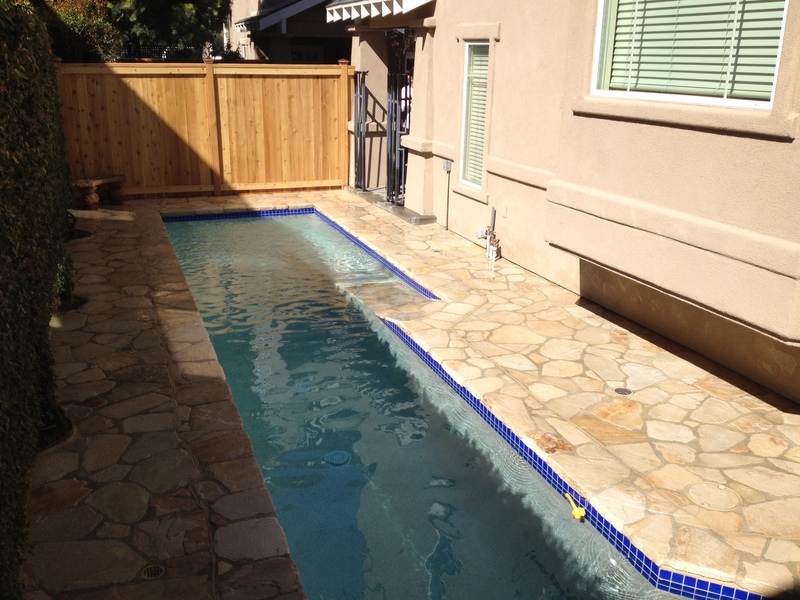 I recently designed a backyard with a new pool and hardscape in Glendale, California. 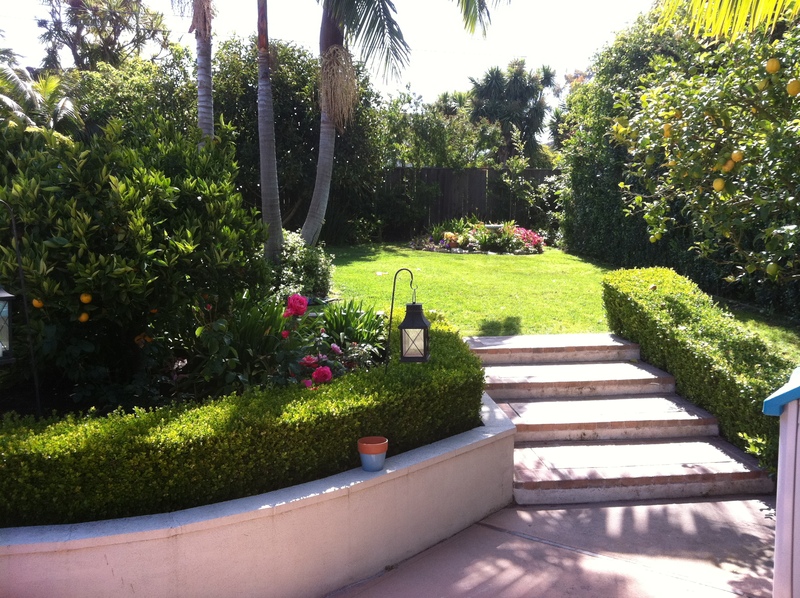 The clients had lived in their home for over 10 years and were ready for a change. 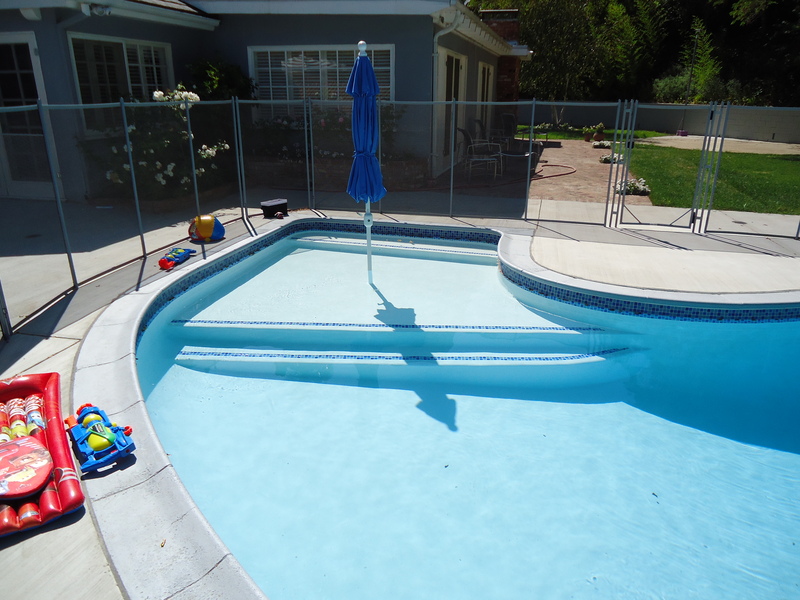 With growing children, a swimming pool/spa combo and backyard redesign was the best option. The challenge going into this project is that the house lacked design and needed fix ups all over. 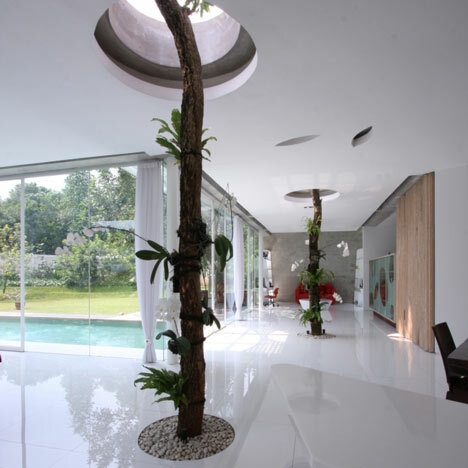 The house and backyard have a more cozy feel so the idea became to make it more traditional. 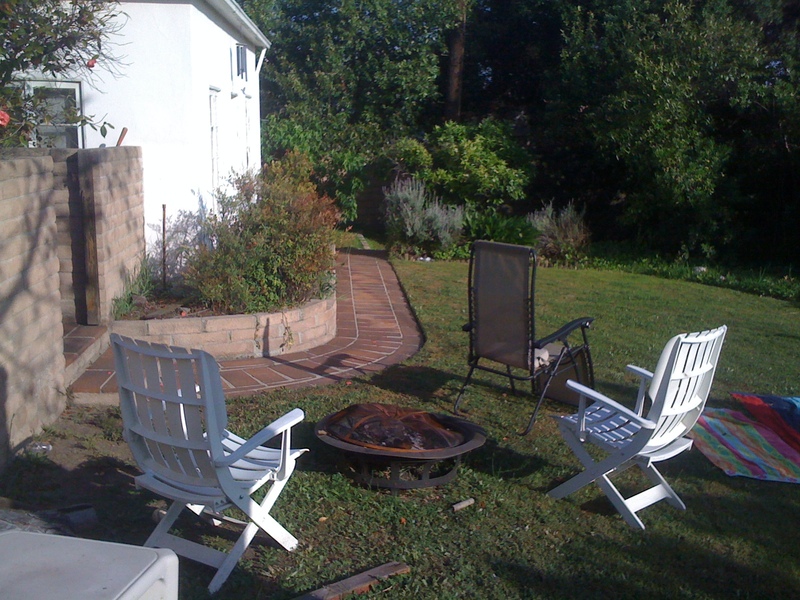 Some brick, colored concrete, classic blue tile – the backyard would set the standard for the rest of the house. Meeting with the clients and getting a feel of what they like inspired us to come up with a design that would fit them and suit their needs. 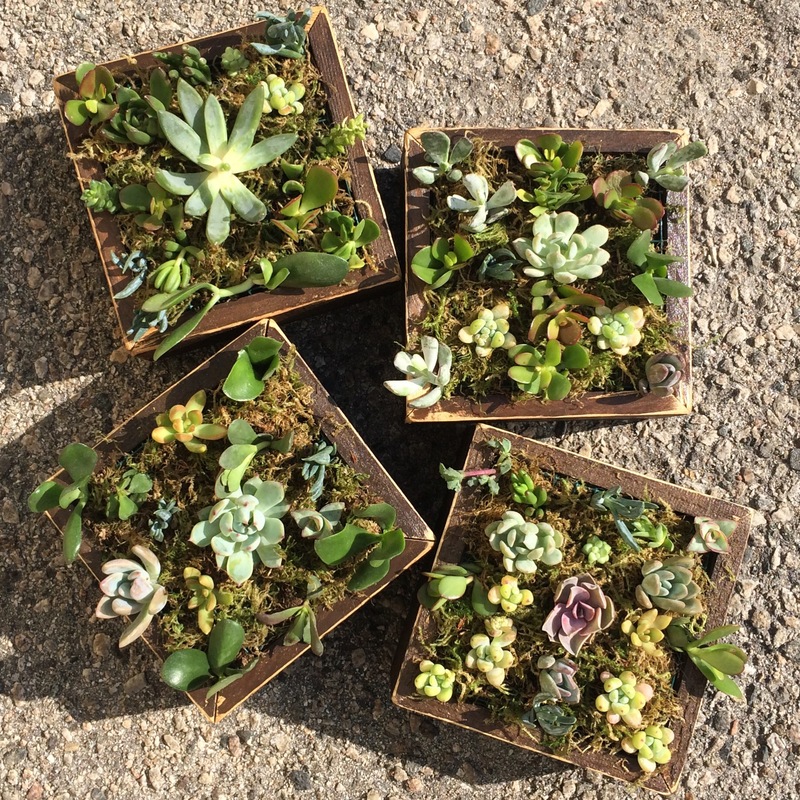 After the measurements were taken, it was time to put their design in 3D. Using 3D renderings is so vital in design. It shows the client what they are getting before hand and can prevent disappointment in the future. Seeing your vision as a designer boosts the client’s confidence in you and your product. 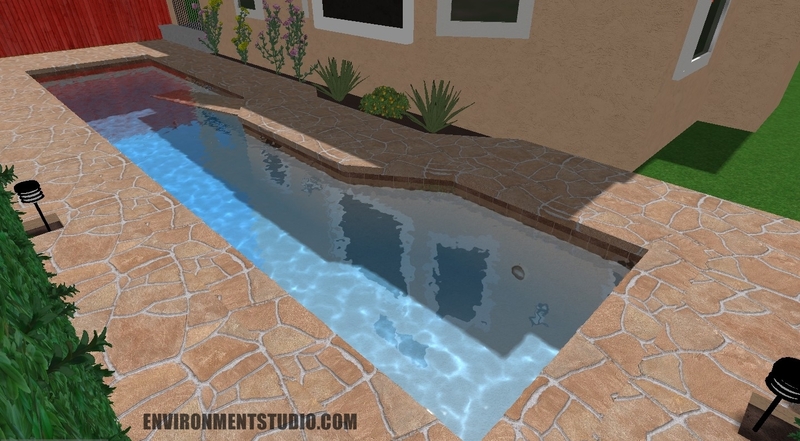 We wanted to give the client the feeling of having a larger space in their backyard even though we were designing the pool and dropping it in the middle. 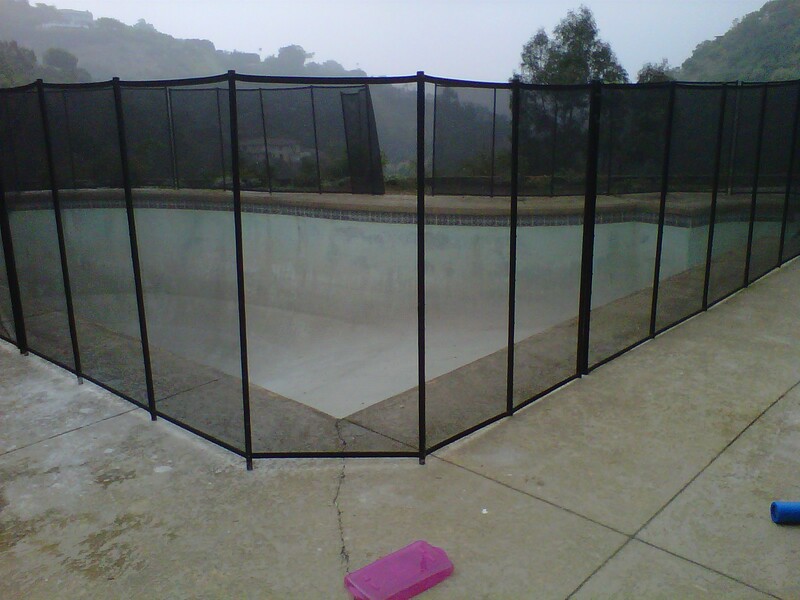 We accomplished this by using softer lines for the pool and spa and not just making a square block. After presenting the 3D Renderings to the client, the rest was pretty simple. They saw what they liked and wanted to move forward with the design. As we moved through the project, the client was inspired to design more of the house. 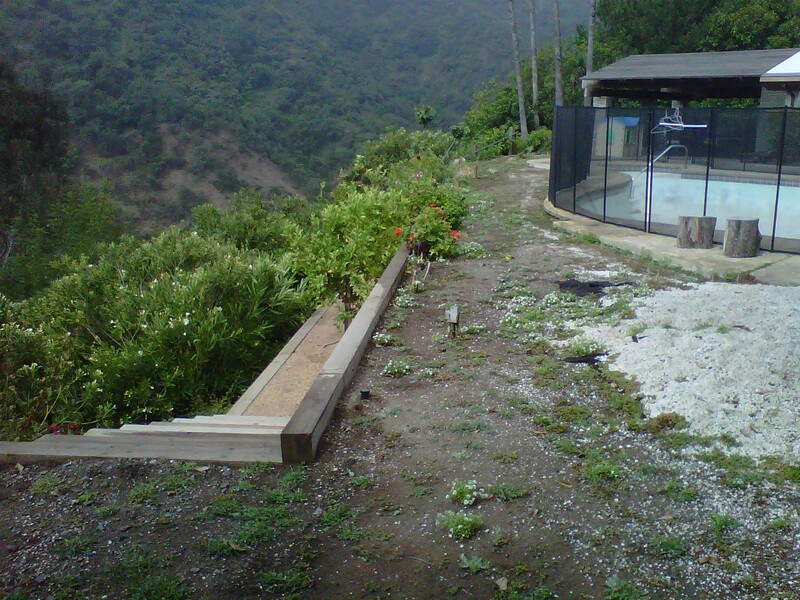 Once the pool, spa and hardscape were completed, you could see the complete transformation of the empty space that was in their backyard previously. 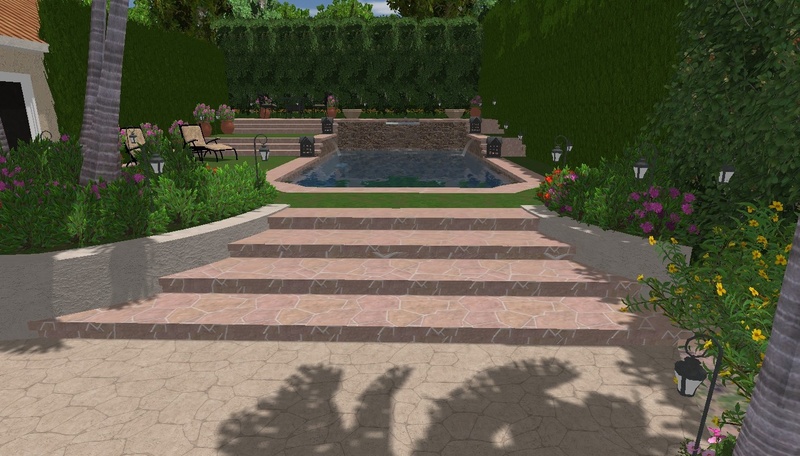 Now they have a place where their children can play, a place to hang out, a place to admire a beautiful water feature and a completely transformed backyard. 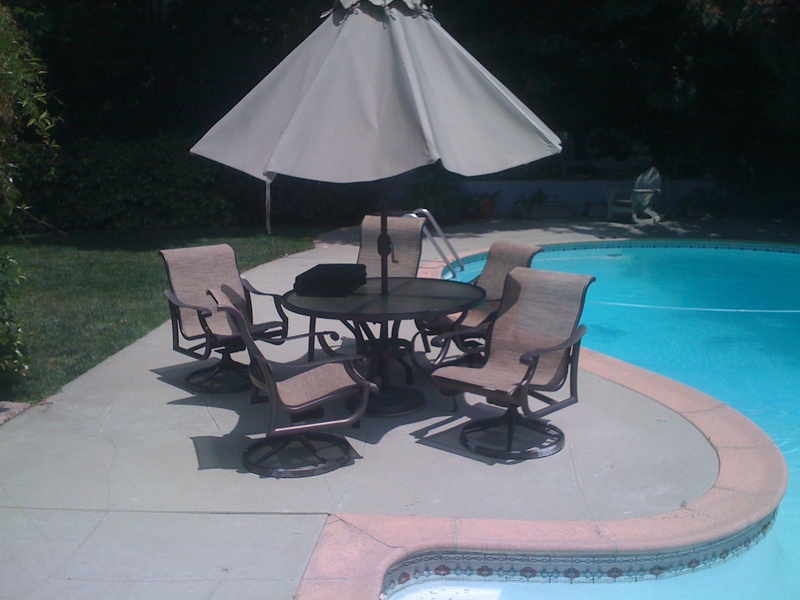 The swimming pool builder and hardscape constructor is Certified Swimming Pools of California located in Burbank, California. 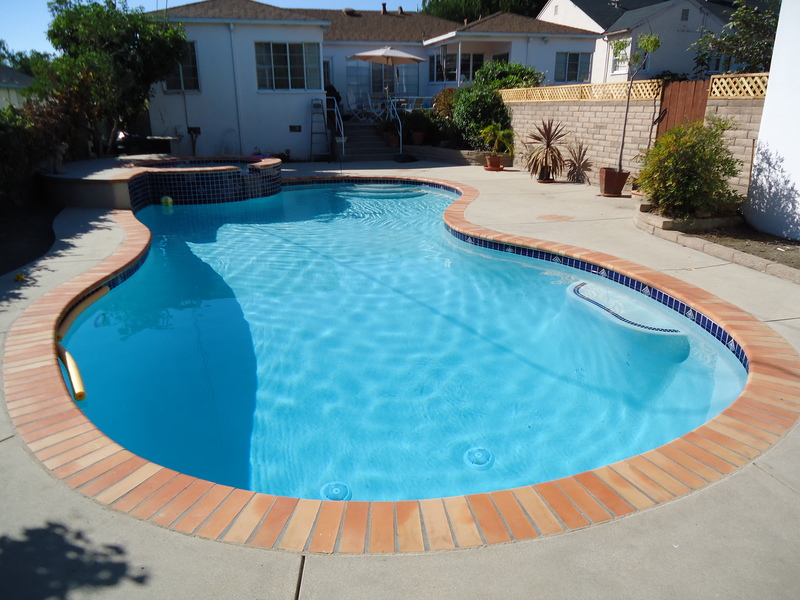 If you are interested in getting a pool built in the LA County, visit their website by clicking here: Certified Swimming Pools of California. The nest step is tacking the rest of the house!